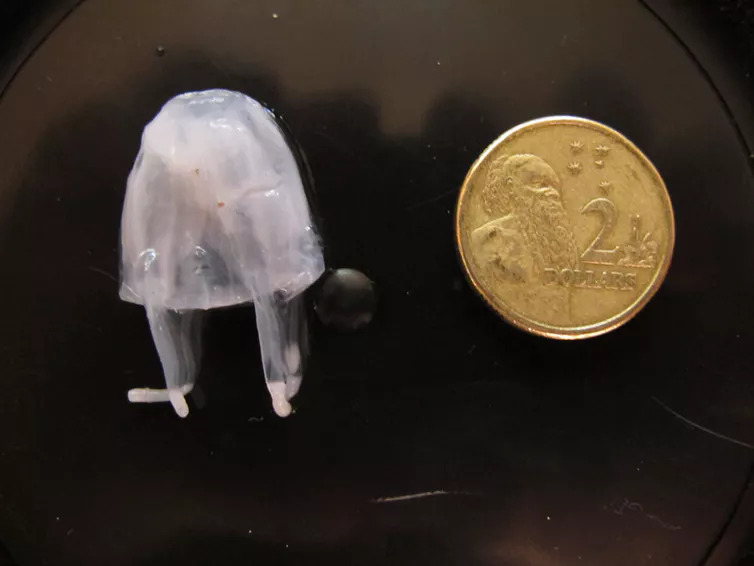 I surfed peregian beach noosa one month ago and while sitting on my ski spotted an Irukandji jellyfish twice in my hourly session. ( Yes,I know what Irukandji look like}. My local council gave me a number to call so I could pass on this information,I left two messages and had no returned response. SO,I can tell you they are here and we will definately see an increase in sightings and stings. Because they're not moving North? Marine science is no longer an open book. We've seen Qld Govt halving Shark incidents to protect tourism. Oz wide Whale Beachings/Sharks are no different. All recall WSL boycott of WA. Credited to various Qld/WA Scientists / Medicos dedicated to victims. They head South harbouring calm East facing beaches or West facing Island Shores. The 1st northern crews seem to deposit larger population with less venturing south. South crew rely more on west facing afternoon sun needing warmer shallow waters. This also keeps their sensitive fishing tackle out of the rough surf lineup as a rule. Rainfall & Humans play a role in Nutrient level outfalls increasing Algal Blooms. Algal Blooms attract the Salps / Sea Lice / Larval Fish closer to shore. [ Tip ] Said mid summer critters on N/W Island of N/E Beach are a warning sign. Irukandji are harbouring offshore waiting for the perfect time to feed. Irukandji needs Wind to sail on the High Tide in full Sun in warmest waters. East facing am high tide N/E wind (or) West facing pm high tide N/W wind. [WARNING] Do not enter said waters at these times. Irukandji has 2m fishing span . Please refer to local waters treatment guidelines as 10+ species exist. Please note WA has larger population.Alternate winds/Beaches but apply same tides! 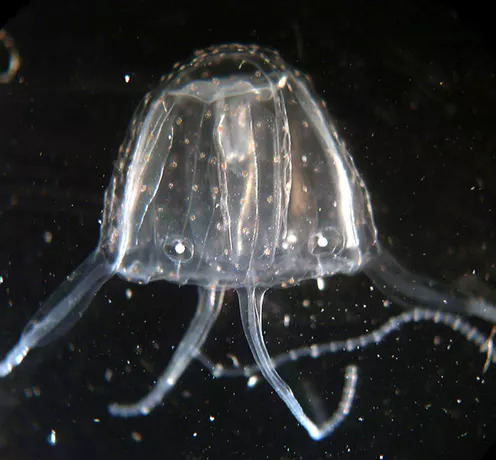 Irukandji seldom waste energy coming ashore on wet/Dark/Cloudy days. They power down their death rays at night. Young Irukandji are either devoid of venom of have very little. Notes: It seems Irukandji venom stems from diet (perhaps sea lice) + Age + Sun. All down to Diet / Maturity / Sun + Water Temperature < > charge up time! End of season is a bit sketchy but it seems they regroup South & out to sea onto Reef. (Again! Irukandji hideout is Marine Biology Holy Grail) Top secret! Consensus is that EDNA phase one is only meant to supplement...not as lone tool. As such requires double research funding to run alongside visual /Trad surveys. The benefit in detecting new waters for Irukandji is down to contamination control. Also note that EDNA can't differentiate how many as say algal dyes could track. EDNA will no doubt benefit Marine Science but also opens the door for major error. Those Jellyfish sound pretty dangerous. Imagine if they ended up in force on the Gold Coast. Farken carnage. The whole tourism industry'd be right royally stuffed.